We have a number of high value online casino bonuses available right now where new and eligible players will get a First Deposit Bonus of 200%! A 200% match on the first deposit means that your deposit amount will be tippled in casino credits. Some of these bonuses are included in different welcome bonus packages that allows players to get deposit match bonuses on more than just the first deposit. Check out the short guide here below and find the casino that is most suitable for you! Terms and conditions apply. Get a Welcome Bonus Package worth £/$/€300 + 100 Bonus Spins at Mr Play Casino! Mr Play Casino offer a great online casino product where members can enjoy over 1,000 casino games that are provided by some of the most popular game vendors including NetEnt, Aristocrat, Betsoft, Isoftbet, Play’n GO, Microgaming, Nextgen Gaming and Thunderkick. Mr Play Casino is fully licensed by the UK Gambling Commission, the Malta Gaming Authority and the Swedish Gambling Authority. 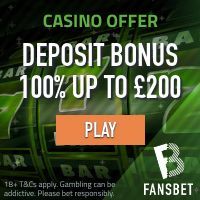 1st deposit: Get a 200% deposit match bonus up to £/$/€300 + 20 bonus spins! 2nd deposit: Get 40 bonus spins! 3rd deposit: Get 40 bonus spins! Click here and join Mr Play Casino and get a First Deposit Bonus of 200% up to £/$/€300 + 20 Bonus Spins! EXCLUSIVE First Deposit Bonus of 200% up to €/$500 + 100 Spins at Magic Red Casino! We are very happy to be able to offer an EXCLUSIVE 200% first deposit bonus at Magic Red Casino! Not only will new and eligible players triple their deposit up to €/$500 but a their first deposit of €/$20 or more will also unlock 100 extra spins in the very entertaining video slot Book of Dead by Play’n GO. It’s safe to say that this offer is of great value. Magic Red Casino is powered by the Aspire Global platform which include games from a long list of game providers such as NetEnt, Play’n GO, Microgamng, Isoftbet, ELK Studios, NextGen Gaming and many more. Magic Red Casino is licensed by the UK Gambling Commission, the Malta Gaming Authority and the Swedish Gambling Authority (Spelinspektionen). Click here and visit Magic Red Casino and enjoy a First Deposit Bonus of 200% up to €/$500 + 100 Extra Spins! 200% Bonus + 50 Starburst Spins on First Deposit at Chelsea Palace Casino! 2nd deposit: 100% deposit match up to £/€250! 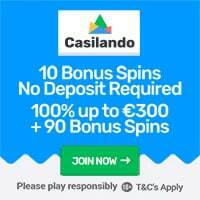 3rd deposit: 50% deposit match up to £/€500! Chelsea Palace Casino is powered by the Nektan platform and house several hundred games from top developers including Scientific Games, IGT, NetEnt, Microgaming, Betsoft, Konami Gaming, Thunderkick, ELK Studios and NYX Gaming. They are licensed by the authorities in the UK and Gibraltar. Click here and sign up at Chelsea Palace Casino and triple your First Deposit! EXCLUSIVE 200% Welcome Bonus Package worth up to £/€/$500 + 50 Bonus Spins at Slot Strike Casino! 2nd deposit: 100% deposit match up to £/€/$200! 3rd deposit: 50% deposit match up to £/€/$250! Slot Strike Casino is licensed by the UK Gambling Commission and the Gibraltar Gaming Commission. They offer more than 700 top quality casino games from NetEnt, IGT, Scientific Games, Nextgen Gaming, Microgaming, ELK Studios and many more. Click here and become a member of Slot Strike Casino and get a First Deposit Bonus of 200% up to £/€/$500 + 50 Bonus Spins! CLICK HERE AND FIND ALL OUR ONLINE CASINO BONUSES!